At Dignitas, people are at the centre of everything we do. Frontline engagement with patients through our medical program gives us a deeper understanding of the barriers they face on a daily basis and spurs us to find solutions. We strengthen health care delivery by training and mentoring health workers and by addressing operational challenges and gaps in the system. This past year, we trained and provided ongoing support to more than 600 health workers. We also delivered innovative health care programs aimed at improving care for vulnerable populations in Malawi and Canada. More than a decade after Dignitas started working in Malawi, we are inspired by the people we have helped and humbled by the change in communities that have overcome the devastation of AIDS. With access to treatment and care, a positive diagnosis for HIV is no longer a death sentence. Read more about our work in Malawi. But our impact doesn’t end there. In 2014, we launched our Aboriginal Health Partners Program to deliver innovative and culturally appropriate health solutions in partnership with First Nations communities in Canada. By applying what we have learned in Malawi, we hope to improve health care in Northern Ontario. Read more about our work in Northern Ontario. As we look forward to the next decade, we will continue applying our experience and expertise to respond to emerging epidemics and evolving patient needs. “People living with HIV and AIDS need to be treated with dignity,” says Gabriel Mateyu. Working in partnership with USAID and the Malawi Ministry of Health, Gabriel and other Dignitas clinicians mentor and support health workers in six districts spanning Malawi’s southeast region. Gabriel has seen a remarkable transformation in his patients. “Before, we were seeing patients who were very sick. Now, thanks to access to lifesaving HIV treatment, we’re seeing patients who are healthy,” says Gabriel. 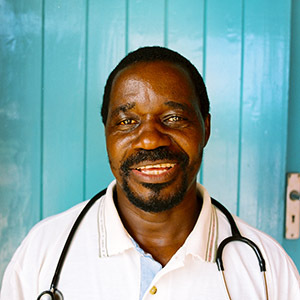 Help strengthen frontline medical for vulnerable populations in Malawi and Canada.